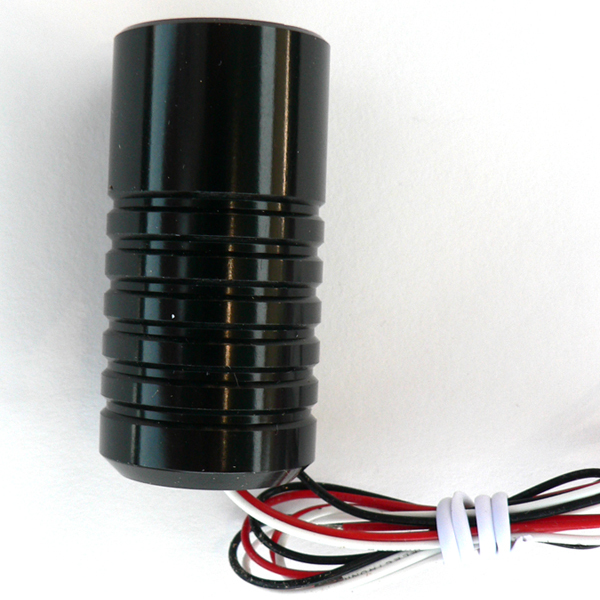 Black Aluminum LED Flood Fixture available in "tight" and wide flood. 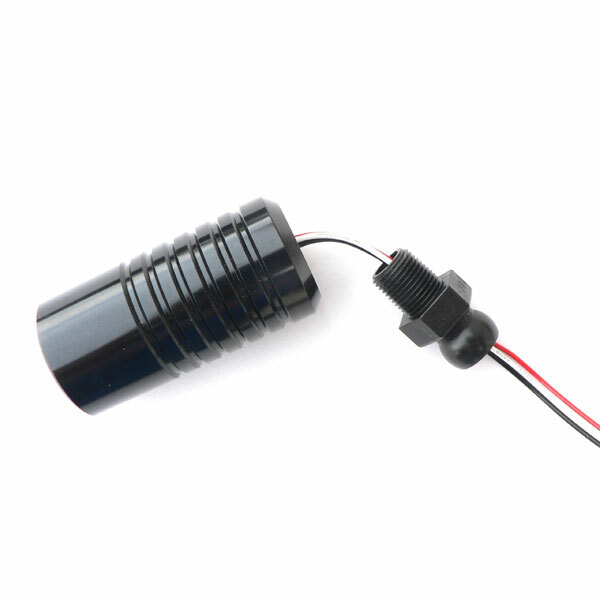 The "Tight" flood (083-F) uses the Nichia "083" LED & 350 mA constant current converter circuit. 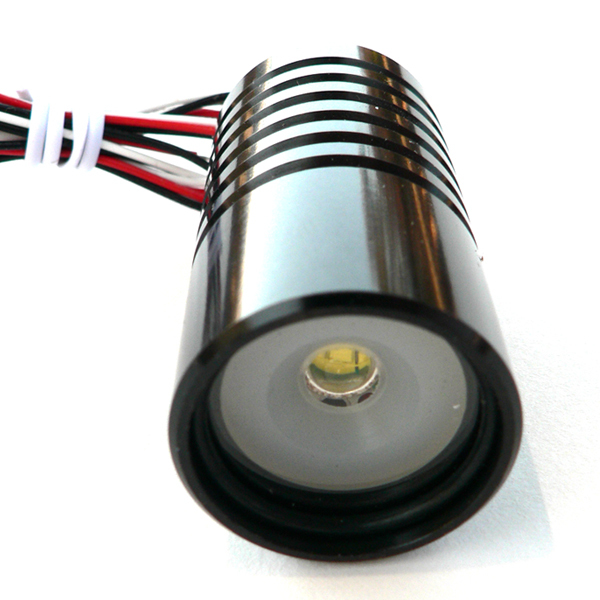 The "Wide" (XR-F) uses the Cree XR-E LED @ 350 mA constant current converter circuit. Important note: Unlike our other LEDs incorrect wiring can destroy this light fixture. Red is positive (+) and Black is negative (-). Proper polarity must be observed. Wiring this light incorrectly will destroy the circuit. The "Tight" flood (083-F) uses the Nichia "083" LED & 350 mA constant current converter circuit. 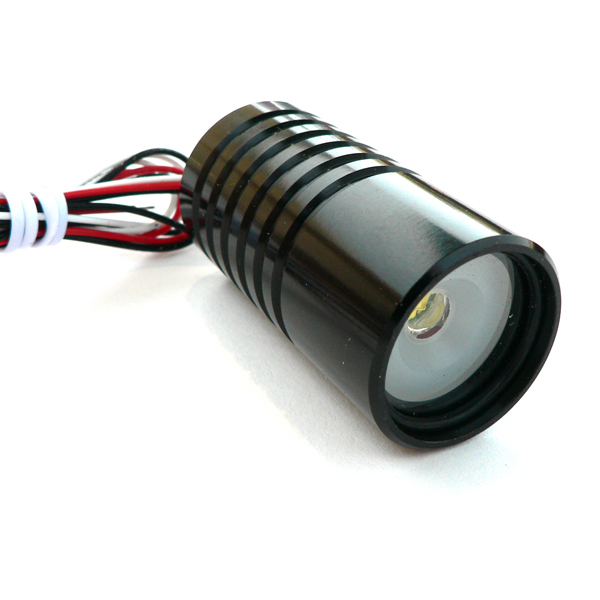 The "Wide" (XR-F) uses the Cree XR-E LED @ 350 mA constant current converter circuit. ColorCode: Red is positive (+) and Black is negative (-). Proper polarity must be observed. Wiring this light incorrectly will destroy the circuit. The 083-F and XR-F have an additional white wire that can be used optionally as an input dimmer signal. A dimmer switch is in the works presently and information for those wishing to construct their own will be forth coming. If the power supply is 12 VAC as many low voltage landscape lighting power supplies are, it is recommended that an inexpensive bridge rectifier is placed in the circuit ahead of any LED lights. See Power Supply Tips. 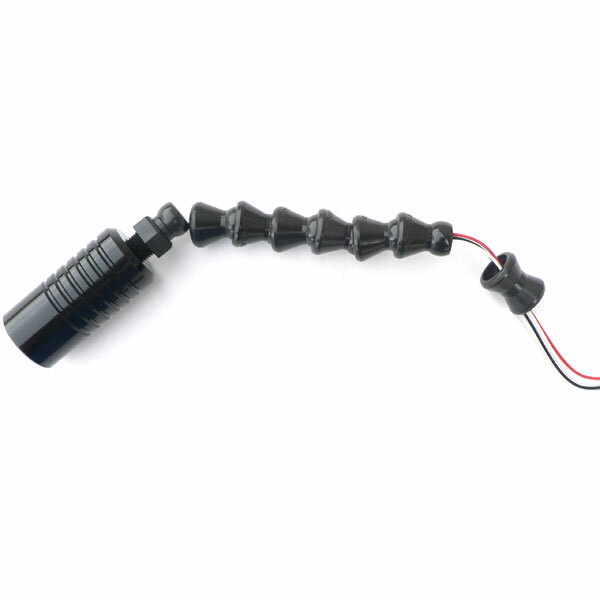 Lead connections and wiring: Although this light is waterproof, the type and method of connecting the leads will effect the overall integrity of the system and its ability to survive harsh environments. See wiring tips. The 083-F and XR-F LED lights will provide constant light output with an input voltage range of approximately 5VDC up to 15VDC. Please read our Handling and Installation Caution. 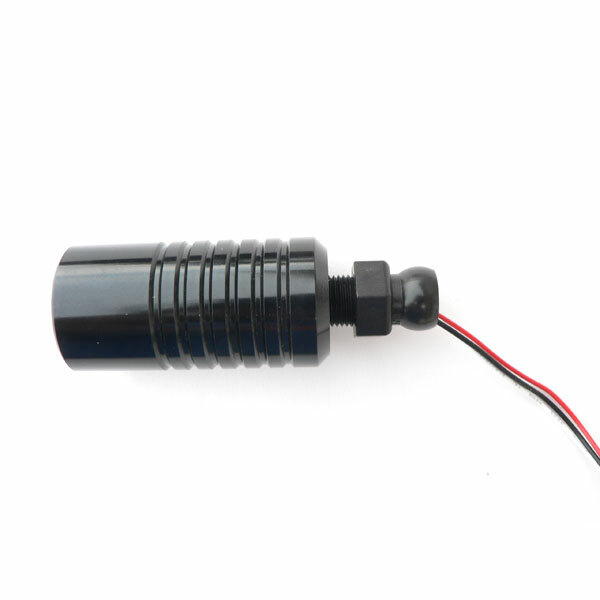 In most applications, 22 - 20 gage wire seems to be about ideal. A common jacket covering the insulated wires is also a good idea. On long runs, the resistance of the wire will cause a drop in voltage. In the case of the HighPower 083-F and XR-F lights which have constant current drivers, there will be no dimming as a result of long wire runs but the current required will increase as a function of voltage drop.